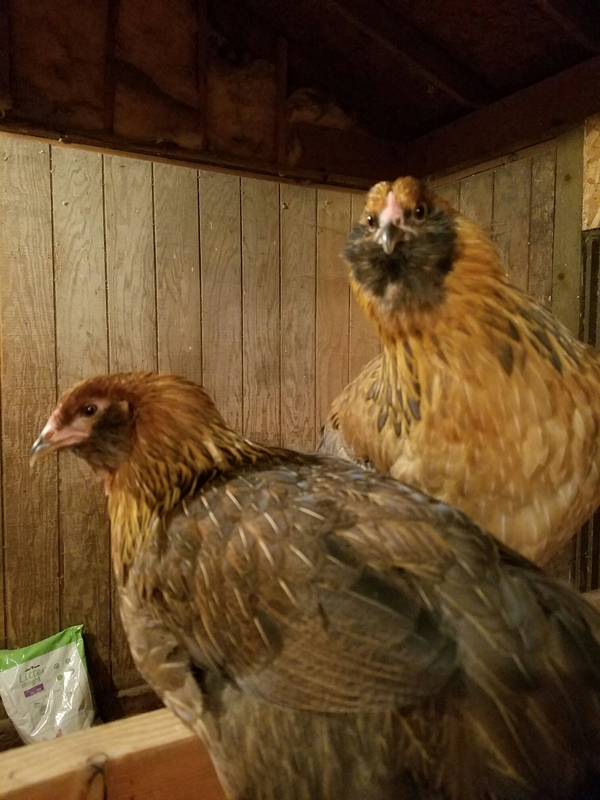 We had a short time of winter weather that didn’t want you to hibernate and we had a great suprise of having multiple blue eggs. After doing some investigation, we were excited that the 3 youngest ameraucanas are laying their first eggs. They are laying between the laying boxes, hay manager and dresser so it really is a egg hunt to figure out how many we got for the day. This also means they are officially hens and receive names. The pig’s butcher date has arrived and as I was feeding them their last bag of feed I ran into a little visitor near the water. 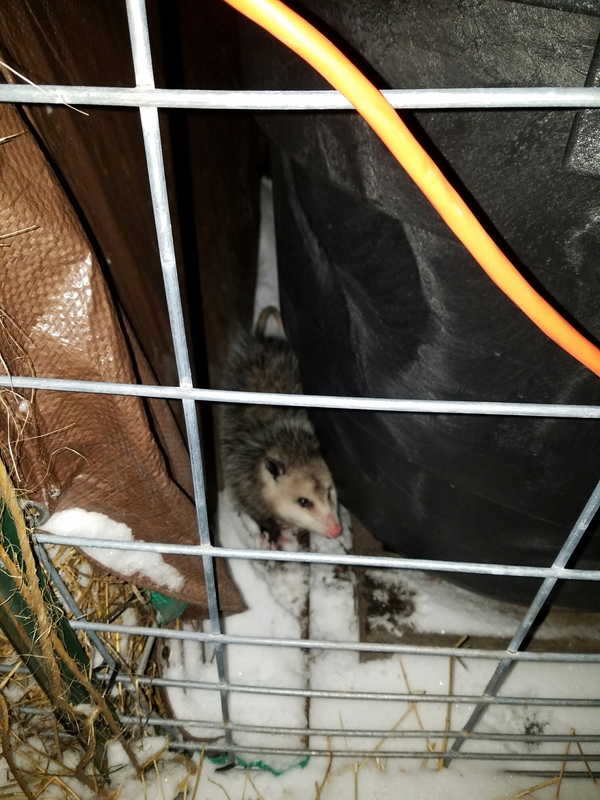 It was already dark and I discovered we had possum in the pen. 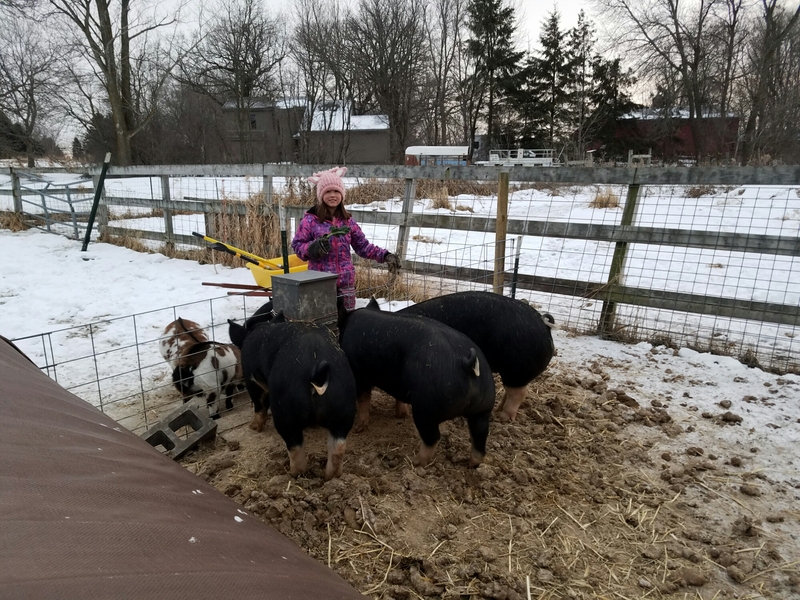 The pigs smelled it but didn’t do much, similarly the possum stayed out of their way. Here is a picture of the trio at 6 months before we head to the butchers.